What Happened to the Dark Meat? Have you ever wondered, when you browse the chicken section of the meat counter and see a sea of breast meat, what happens to the dark meat? I mean, those breasts came from live chickens with legs and wings, but surely there are way more breasts for sale than legs and wings to go with them. Why is that? Or when you order chicken nuggets at your favorite fast food, observing that they are made from breast meat, do you wonder what happened to the dark meat? It used to be that when you bought chicken, you got the whole bird. Back then, chicken was a special dinner, reserved for Sundays and celebrations. The kids usually fought over the drumsticks and wings while the adults enjoyed the white meat. But now, all that has changed. 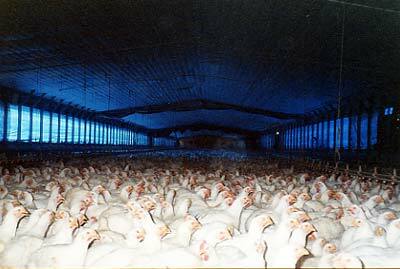 In the 1960s and ’70s, businesses like Tyson and Cargill began mass-producing chickens in CAFOs . 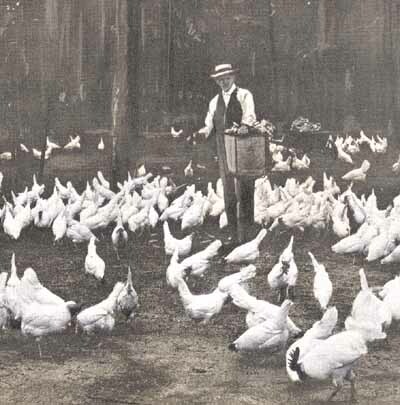 Broasted chicken (think Colonel Sanders) emerged in 1954 (3), but didn’t really catch on until mass-production of chicken meat from CAFOs became available. Soon cut-up chicken pieces, with breasts, legs and wings sold separately, began to be popular in grocery stores and fast food restaurants. In the 1970s, the low fat craze began and health gurus encouraged people to avoid dark meat in favor of white meat, because, they claimed, dark meat was higher in saturated fat and cholesterol. This preference for white meat left chicken producers with a lot of unsalable dark meat pieces. No worries, though; they soon found a market for them in foreign countries such as Russia, where dark meat is preferred to white. “People will tell you they prefer the white meat to the dark because it’s leaner, healthier, has less cholesterol, or whatever. Even if it were true, it would be disingenuous: nobody but the infirm worries about an extra gram of fat in the main component of dinner. In fact, … the difference is negligible: according to the U.S. Department of Agriculture, 100 g of white meat has 0.56 g of saturated fat and 114 calories; while the same amount of dark meat has 1 g and 119 calories. “Dark meats tend to contain more zinc, riboflavin, niacin, thiamin, vitamins B6 and B12, amino acids, iron than white meat. … Chicken dark meat contains vitamins A, K, B6, B12, niacin, folate, pantothenic acid, minerals as selenium, phosphorus and zinc. The Creator equipped chickens with pampered breasts (needing little blood flow), and hard-worked legs and wings (needing lots of blood flow) for a reason. Who are we to decide to be so wasteful as to eat the white and toss the dark? Dark meat is dark because it has way more arteries, capillaries and veins for the flow of all that blood, than white meat. It’s the blood that gives dark meat its ‘darkness’ and flavor. That is, essentially, the main difference. Both white and dark meat provide protein, fat, cholesterol, vitamins, minerals and antioxidants. Instead of being concerned about the healthfulness of one color of meat vs another, we should all be concerned instead with HOW OUR MEAT WAS RAISED! For more on the healthfulness of both white and dark meat, see The World’s Healthiest Foods, on chicken (5), and DietBlog.com: Dark Meat vs White Meat; What the Difference? 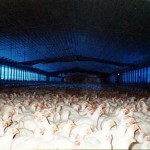 (6), and CalorieLab.com (a blog, 7): What’s with the white meat superiority complex? . This entry was posted on Thursday, February 24th, 2011 at 10:56 am and is filed under Agriculture, Food-Nutrition-Health. You can follow any responses to this entry through the RSS 2.0 feed. Both comments and pings are currently closed. Thanks so much Catherine for your ESP newsletter. It’s so WELL done. I don’t have time to read it all the time, but just loved the “dark meat” article and may attend the event on 23rd– to learn more about hoop houses. I want to try one at my house see how it works this spring. You’re welcome, Chris. We look forward to seeing you in March. Do you know if anyone is planning to try any of those season-extending techniques this year at the Bigfork Community Garden?